George joined us in February 2012 and in October 2016 migrated south to Stony Stratford near Milton Keynes. 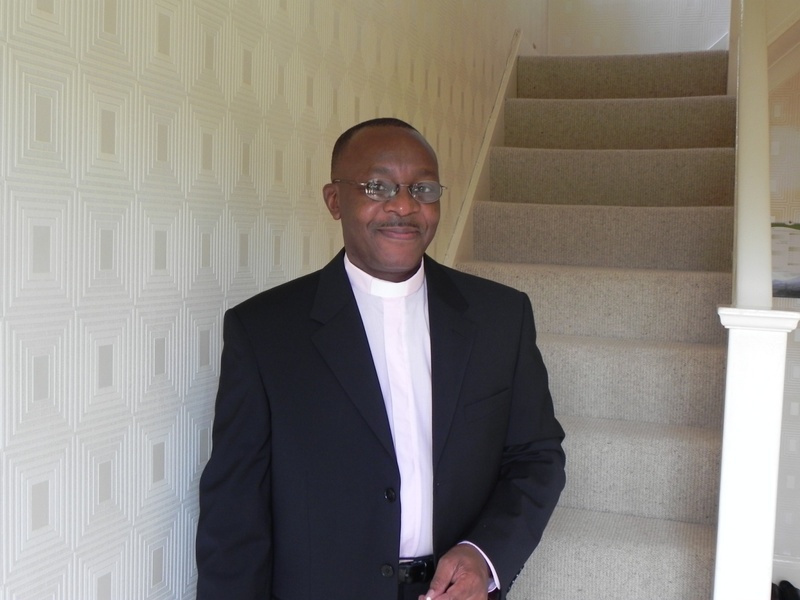 On the 16th October 2016 George was inducted as Free Church Minister at the ecumenical Church of Christ the Cornerstone, Central Milton Keynes. We give thanks for his work in Bolton and he takes our blessings with him as he sets out to minister in the land of the roundabouts! George, God Bless you and your family. 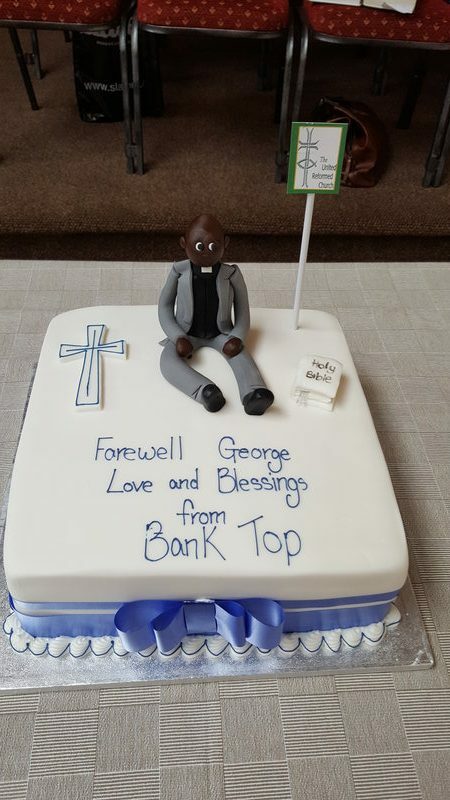 George showing that even if you won’t eat cake, it still has some uses…. 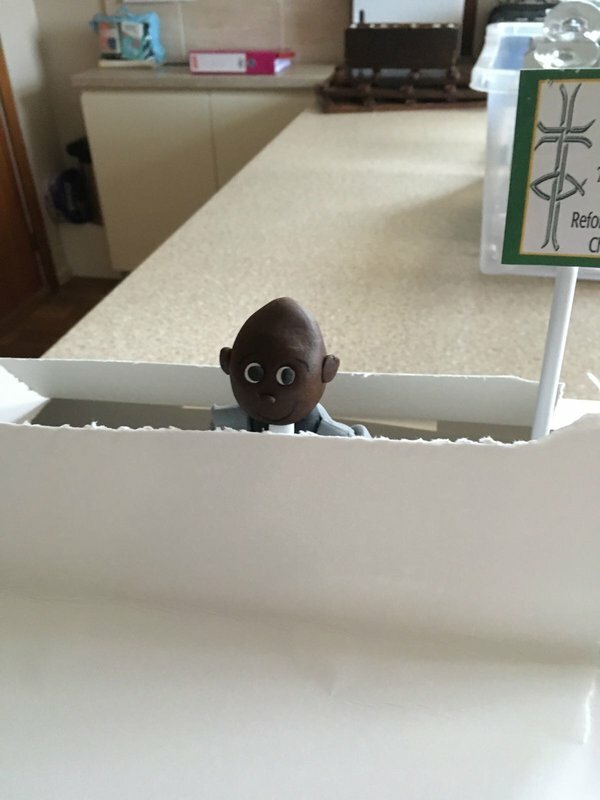 George packing up ready to go….